Looking for a quote? Start here! Just in....get four (4) arborvitae 4-5' tall planted for ONLY $45! Limited time offer. We are currently accepting mulch reservations starting March or as the weather permits. We are excited to announce that we have partnered with Kaycee Cavicchia from REMAX on a reciprocal relationship in order for SEEDS to better serve the needs of our clients. Kaycee will be working with rentals, purchases, and sales of properties. We look forward to working with Kaycee in order to take our Property Management business to the next level! Employment opportunity. If you have a valid drivers license, clean background, and motivated please let us know. We are always seeking good team members. 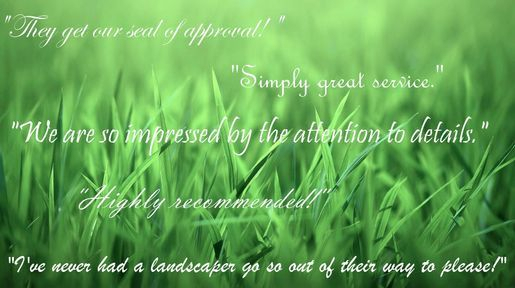 We are dedicated to making your home or investment property look great! We offer property management and property preservation services as well as residential and commercial lawn care services. With over thirty years combined experience and our 100% goal to satisfy each one of our customers we welcome you to join our SEEDS Family. We always go out of our way to please! Do not hesitate to reach out to us as if you do not see a service which meets your individual needs as we strive to be as flexible as possible to best assist you in completing your most recent project. Our willingness to be flexible, creative style, and individual focus produces results.